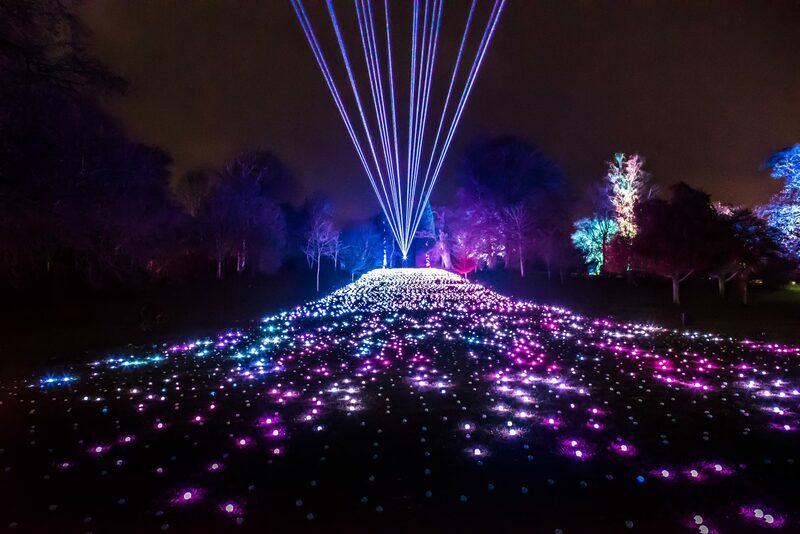 Returning to Christmas at Blenheim Palace by popular demand, this year’s Sea of Light was made bigger and brighter by the addition of a high powered laser at the top of the hill – filling the skies around with spectacularly bright, multi-coloured animated beams of light that danced in time with the music. 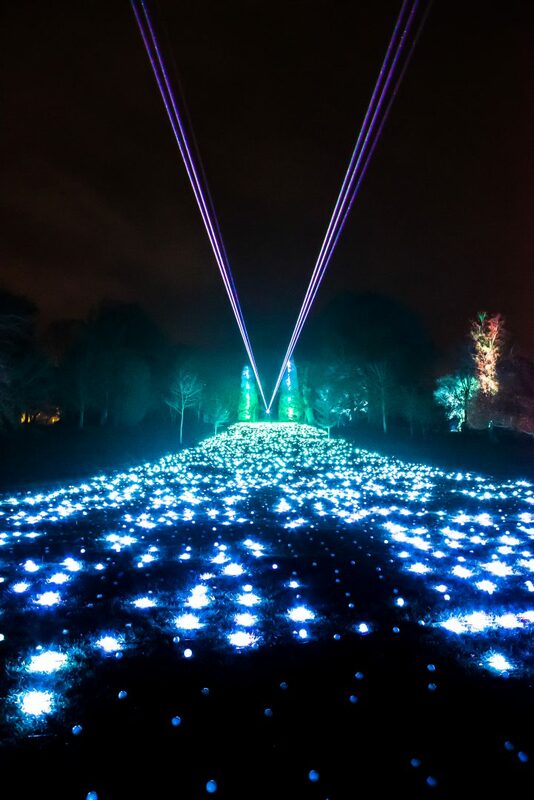 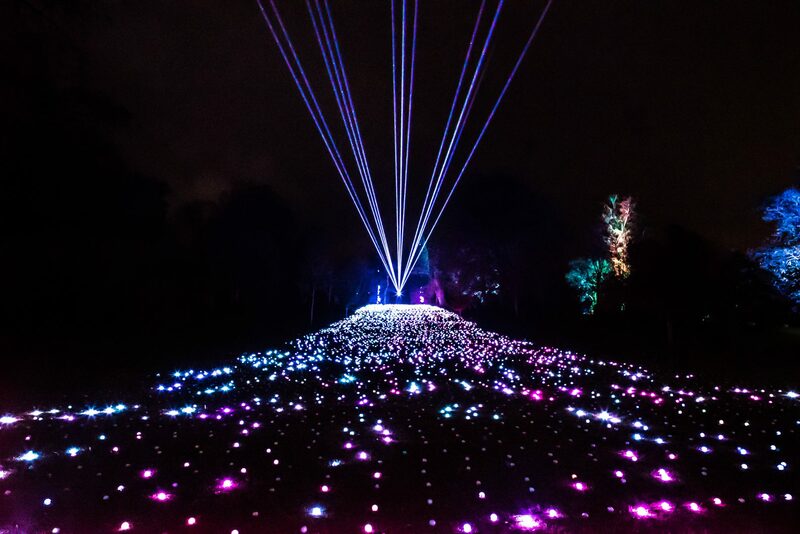 The laser was synchronised to 13,000 feet of LED tape around the giant trees at the top of the hill, as well as the Sea of Light – over 8,500 pixel mapped spheres arranged across the hillside. 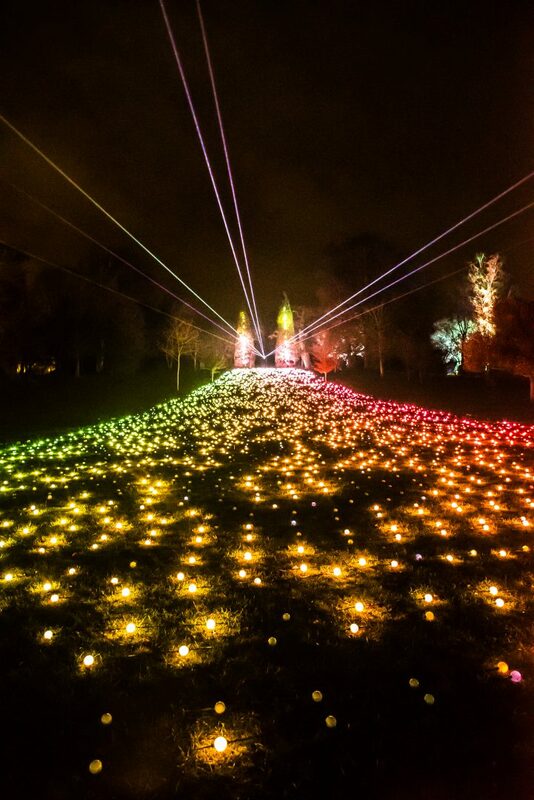 All elements were programmed into a glittering light show set to a customised themed soundtrack, also by Ithaca.